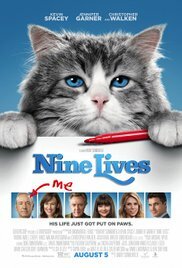 I worked on Nine Lives during production in Montreal and Toronto, and needless to say, working with editing legend Don Zimmerman was an honour beyond compare. During dailies, we had a surprise company move from Montreal to Toronto which was made all the easier by the fantastic staff at the local Deluxe facility. They moved heaven and earth to accommodate our sudden arrival, and it was truly heartening to see such a professional Canadian outfit in operation.